I can’t remember when I wrote about my barter arrangement with Princess select volleyball team from this past spring. Essentially, I took over their website and communications at the beginning of the summer. In exchange, she was to be able to play for free this coming spring – a $1,000 value. Score! In addition, they agreed to let us create a “satellite” team here locally and play under their organization. This would save the twice or more weekly, 2 hour round trips for her to practice. Again, score! About a month ago, I began pestering for details, etc. so we could get started here: parent meetings, skills clinics and then tryouts. My goal was to create two teams, a middle school age team (there is no volleyball at the middle school so they get to high school with no experience,) and a high school age team. This week, via text message, the director let me know that they decided to shutdown and would no longer be running the volleyball organization. I was in shock and so angry! No notice, no explanation. I exchange a few text messages with the director, which is the person I did all the original negotiating with, and although kind, she didn’t really care about their commitment to me or the kids here. They are funneling all the local girls into an Upward sports program. 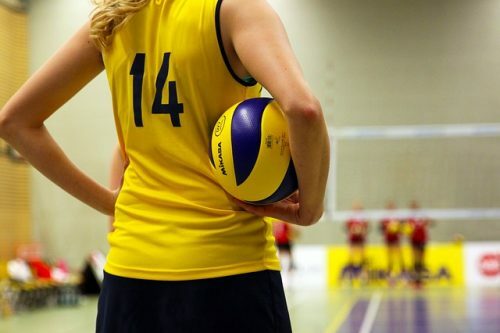 She did reach out to the director of another select volleyball club and he was willing to work with me, but the requirements were not what I needed to make this work in our impoverished area. And the time frame he needed them, just wasn’t feasible for me. Ugh! This week, I had to thank him and turn him down. Now I have to figure out some way to allow my daughter and the many families I have already spoken with at least continue training for volleyball if I can’t pull something together for actually have competitive teams. I am grateful that I now have complete control over the concept. I can control the costs a bit more. But I have to get the set up right to be able to eventually participate with other select teams. That means we need non-profit status to be able to get sponsors. I will need to work on finding practice spaces, coaches and so on. And somehow do it so that I protect myself liability wise. Yikes! Have any BAD readers ever had a part in setting up a select volleyball club? What about with a shoestring budget? Or really no budget? Get in touch with local college which does have a volleyball team and see if we can just do some skills clinics with some of their players/coaches. A combination of 1 & 3. We could use #3 as a fundraising and kind of skills funnel or tryouts and then with #1 maybe hit a couple of tournaments but not a full season in the spring. Give up completely and just cry. I am grateful for my administrative and web skills right now. I can handle the administrative side of this with ease. But I definitely need some community resources to pull this off, especially this first year with no money and limited resources in our community. Any words of wisdom you can offer would be greatly appreciated? Any experience in forming this type of grassroots, starting from scratch organization? I would greatly appreciate all the help I can get. I think I remember you saying there were quite a few girls that went out for high school volleyball. Have you talked with the high school coaches and asked for ideas? I would think they would also want to find a way to keep the girls playing. Does your city/area have a recreation department you can partner with? Even if the level of competition isn’t the same it will keep the girls playing. Can you partner with other close schools or the college for intramural games? In your area is there a rule about how many girls from the same high school/jr high can be on a competitive team in the off season? My area is highly regulated in that respect. I don’t think that trying to come up with an alternative plan and executing it is the best idea. It will involve a lot of your time and resources that would be better devoted to building your business. I understand that it will affect a lot of other families as you had coordinated all of this previously, but an outside group choosing to shut down is NOT your failure or responsibility. You tried to pair with another team, I think you did your due diligence. I fear that trying to find a way to make it work has you moving into the territory of giving your kids everything at too great an expense. Princess is intelligent and emotionally capable of handling this disappointment with support both at home and through her friend group to get through it. I noticed you used the word fail both in the title of the blog and tagging it at the bottom, so I am going to reiterate what I said above: YOU DID NOT FAIL. Life happens, volleyball was canceled and that is not your fault. Do not take the emergency mask off your own face to put it on someone else. Continue to build your business, take care of your immediate family. Down the road when you are debt free, with a strong emergency fund, strong retirement fund, and a stronger business, you can look at taking on large organizational projects for your community. Couldn’t agree more with all of the above points!! I agree with Meghan. I don’t think you have the time or money to take this on. It’s not your fault the organization shut down. She is still playing with the public school so it’s not like she had to give up volleyball all together. I also agree with Meghan. This is not a fail, this is life. I don’t think you should jump thru hoops to make this happen. Maybe have Princess look around for a different sport to try? You need to keep building your business and paying off debts. I don’t comment often on the blog but read almost every day. The volleyball organization has decided to quit the practice and stop having the children in the sports. I would really consider how much time and resources you actually have in place to support such a big initiative for the teenage girls. I don’t think having “complete control over the concept and the budget” is such a good idea given that there are so many other expenses that come with beginning a new organization. I would really consider having your daughter and the other teen girls get together and brain storm ways to be able to continue in volleyball outside of this now closing organization. Let the girls take the initiative to become critical thinkers, devise a concept map on ways to keep continuing, have them promote themselves to a local college for possible training time and use of their resources, and have them raise the money needed to help with costs. I would not want to see you in a position that you may eventually regret in the future. The best thing you could do right now is to continue working and maintaining your client base, promote your skills to increase your clientele, and focus on your own budget before taking on additional projects. Your children would rather you be able to support them, feed them, and work on steady income to continue to pay off debt and save for the future.